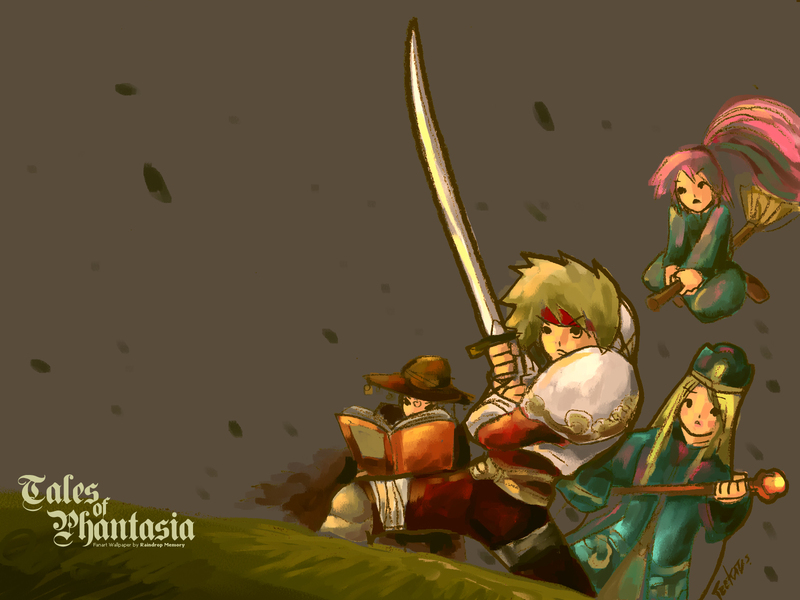 This wallpaper inspired by Tales of Phantasia, the old good RPG in the time back in the SNES era. This game has every quality to become one of the best game ever. Graphics is brilliant, music is simply beautiful and interesting storyline ( just a little game review :)) All the main characters, Cless, Chester, Mint, Klarth and Arche, all are very unique and they're all have "life". and I love thisa game! I draw this wallpaper myself and scan at paint it all in Photoshop, it's a little weird because I'm not yet a Pro in CG-Painting. In this walllie, Cless hold his sword, prepare to fight the enemy, Mint is horrified by something in front of them, Klarth and Arche begin to cast the spell. Anyway, I forgot to draw Chester! What a shame!